Costa Rica is fast becoming one of the most fashionable and popular places to visit on the planet for a very good reason. Costa Rica is full of culture, wilderness, wetlands, colourful cities, stunning beaches, volcanoes, beauty, incredible food, national parks and history all waiting to be explored. 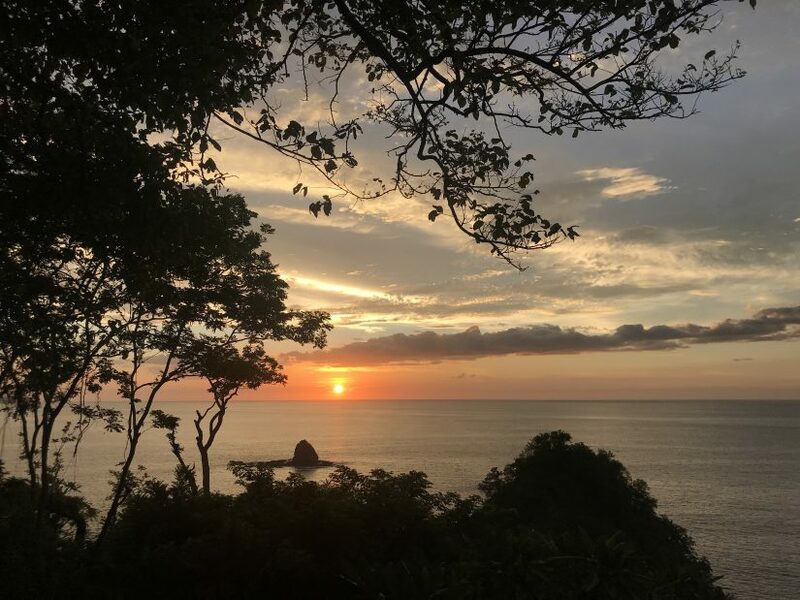 If Costa Rica is not already on your wish list, my hope is that by the end of our fun and interesting facts about Costa Rica Blog, you will be hooked and ready to go. 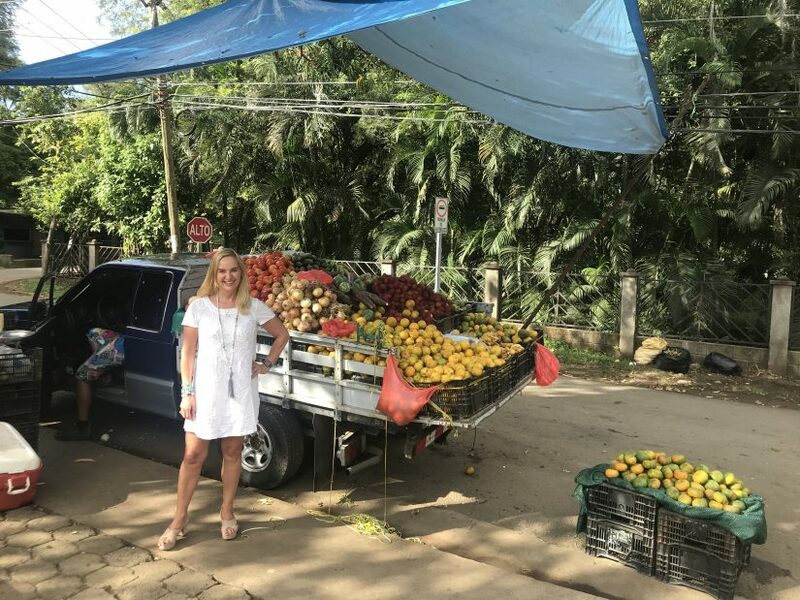 I have included lots of historical facts about Costa Rica, some Costa Rica food facts, some fun facts about Costa Rica as well as lots of nature and wildlife facts about this wonderfully diverse country. Costa Rica is one of the world’s most ecologically unspoilt countries. It is home to more than 25 national parks, and these beautiful parks cover more than 10% of the landmass of Costa Rica. A further 15% of Costa Rica’s land comprises of wildlife refuges and reserves. The most famous of the national parks is in Manuel Antonio. It is rated in the top 12 national parks in the world and is where you will find some of the best luxury Costa Rica villas. The words “Pura Vida” can be seen everywhere in Costa Rica. Everyone you meet says the words Pura Vida; it is on tee shirts, signs, bars, restaurants. There are lots of excellent restaurants in Costa Rica. 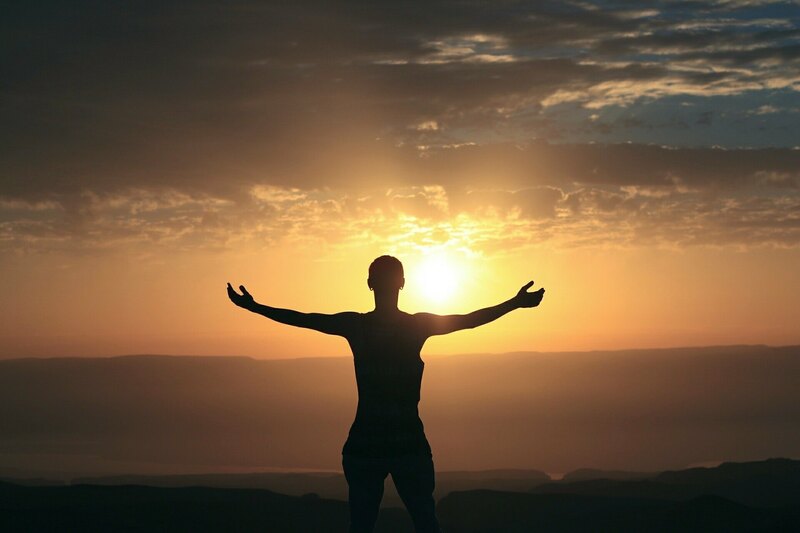 The direct translation means pure life or simple life. However, in Costa Rica, locals use the term to say hello, to say goodbye, to wish you a great day and a beautiful day. 3. Happiest Place on Earth? One of the most interesting facts I found about Costa Rica is that it is considered to be one of the happiest countries in the world. Possibly a lot to do with Pura Vida. The people are very relaxed and don’t stress about things. They have a lovely simple way of looking at life, and they show a lot of gratitude for what they have. Something we can all learn from. The average life expectancy of a Costa Rican is almost 80 years of age which is one of the highest in the world. Maybe its something to do with Pura Vida! Local people affectionately call themselves Ticos. This is because they use the word “tico” at the end of many words as a way of showing affection. For example, the word for small in Spanish is chico. In Costa Rica, they say chiquitico. Females are called Ticas and foreigners are often called Gringos and Gringas! The local currency in Costa Rica is called Colon or Colones (plural). However, the US dollar is widely used and accepted. Costa Rica is a small country. It has a population of just 4 million and overs .03% of the worlds land mass, yet it has 5% of the world’s wildlife. 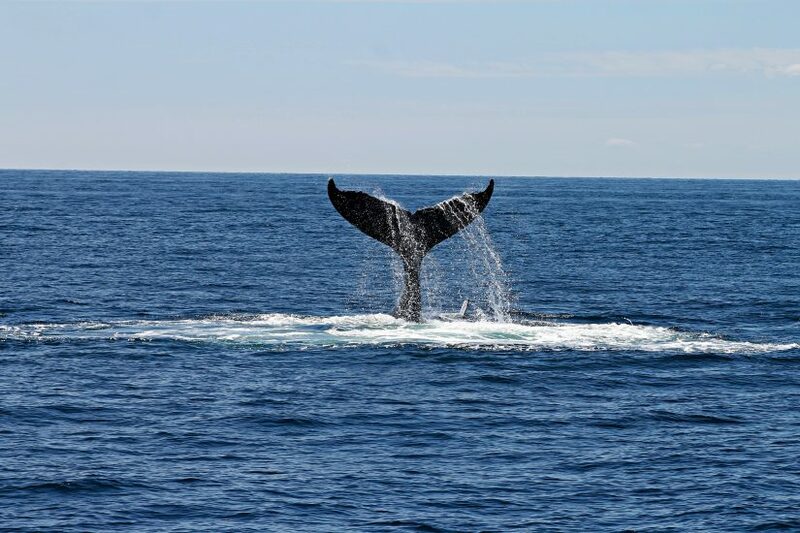 In fact, there are over 500,000 different species of wildlife which makes the country a naturalist’s paradise. There is no bad time to visit Costa Rica. 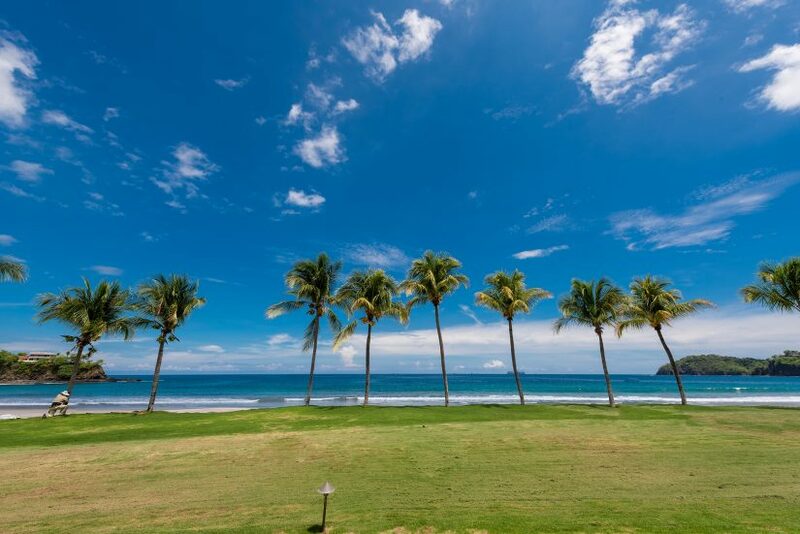 If your main interest is in beauty and nature, then the rainy season is the best time to go but if you are more interested in golf and a relaxing beach holiday, then the dry season is the best time to go. Our Exceptional Villa specialist will be happy to help and advise you. Costa Rica is one of the best countries in the world to see Hump Back Whales. They migrate along the Pacific coast between September and November. This is one of my personal favourite times to visit. Whilst Costa Rica is most famous for its wildlife and beauty; it has some wonderful beaches. 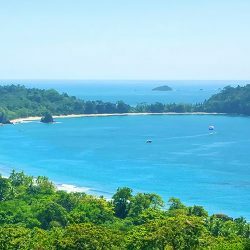 The playa Manuel Antonio which is located right in the middle of the national park has been rated and recognised as the 15th best beach in the world. 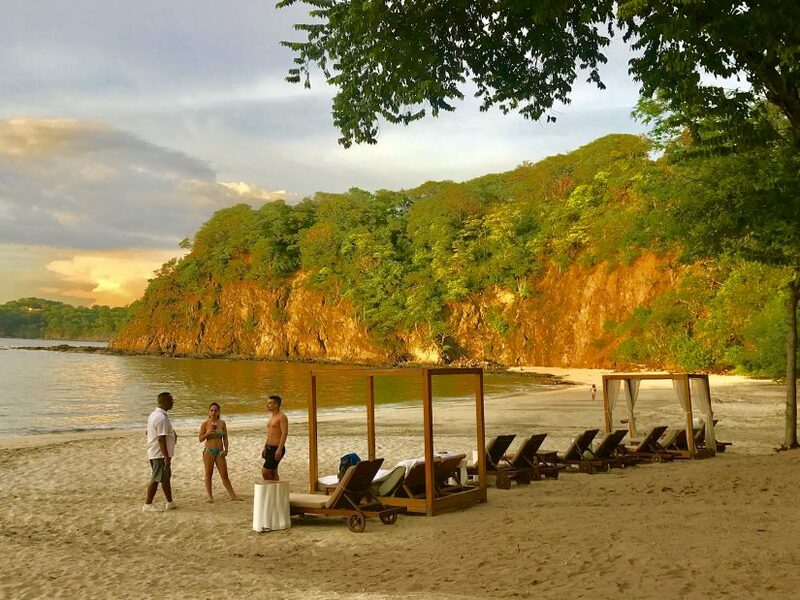 Other stunning beaches include the beach at Tamarindo and Flamingo Beach where the luxury Costa Rica beach resort called The Palms is located. 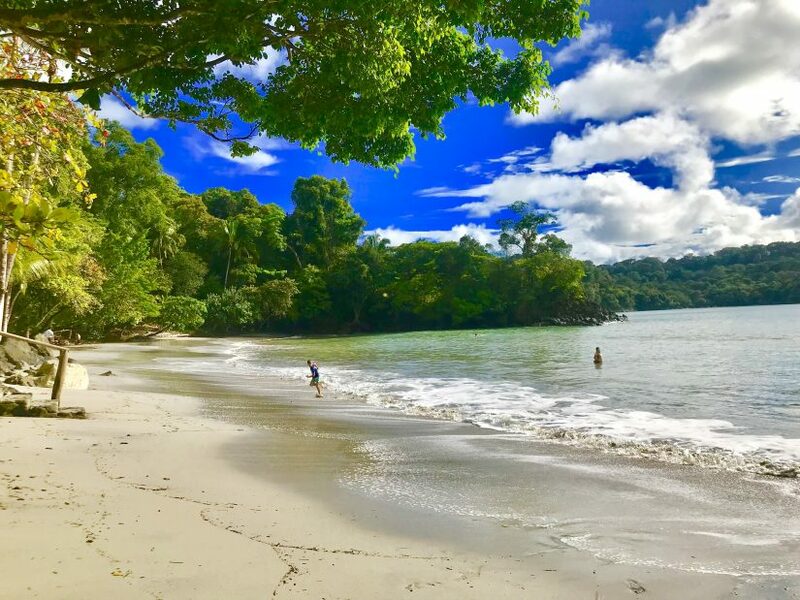 One of my personal favourite beaches is Playa Tulemar which is a virtually private cove at the very exclusive residential resort of Tulemar in the town of Manuel Antonio where many of our villas are located. Costa Rica is a Central American country that has two beautiful coastlines. The Caribbean coast on the eastern side and the Pacific coast on the western side. Almost all visitors to the country go to the Pacific side as this is where all the beauty, nature and wildlife may be found. 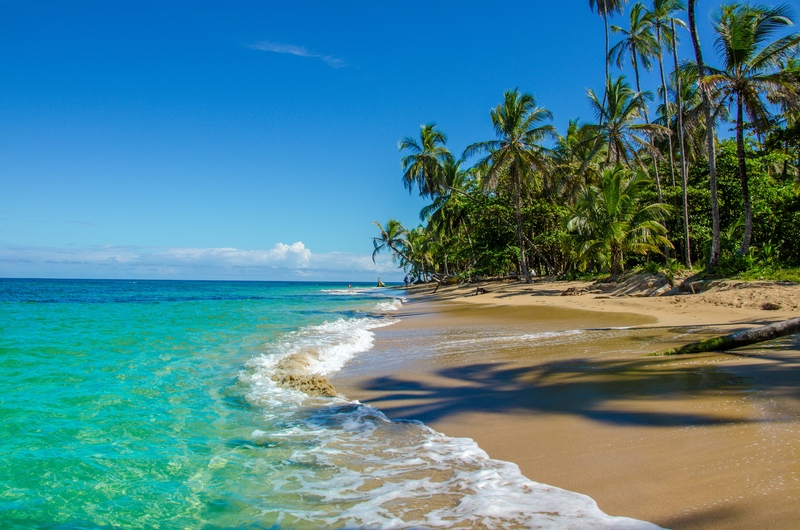 Between the Pacific and the Caribbean, there are over 800 miles of coastline in Costa Rica. Costa Rica has a staggering amount of biodiversity. For example, there are over 1,000 species of butterflies, 210 species of mammals, 130 different types of freshwater fish, 220 reptiles, 160 amphibians, 9,000 different plants and over 750,000 different insects. Included in this incredible biodiversity are over 20,000 different spiders. Lastly one extremely interesting fact is that a staggering 10% of the world’s population of butterflies live in Costa Rica. 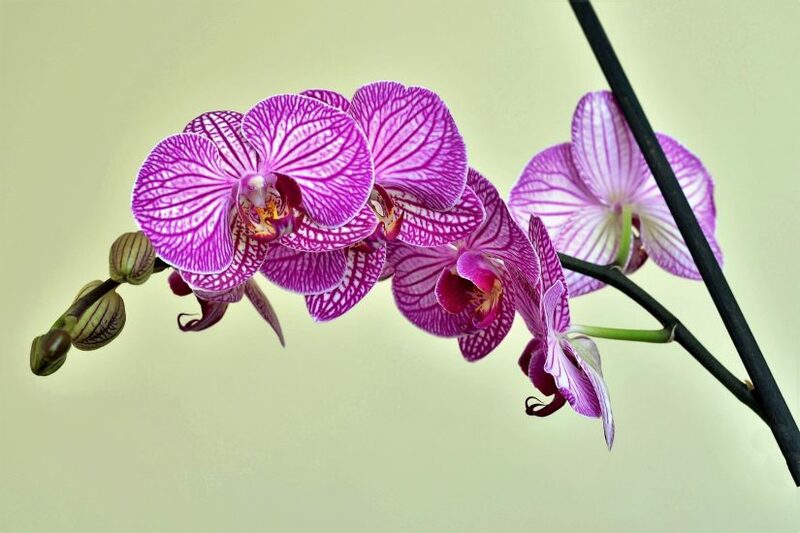 There are over 1300 species of orchids in Costa Rica. The best time to visit if you want to see them at their most beautiful is at the beginning of the rainy season which starts around May of each year. The orchids tend to be at their most vibrant and colourful as soon as they receive the much-needed rain. There are 948 species of birds in Costa Rica. 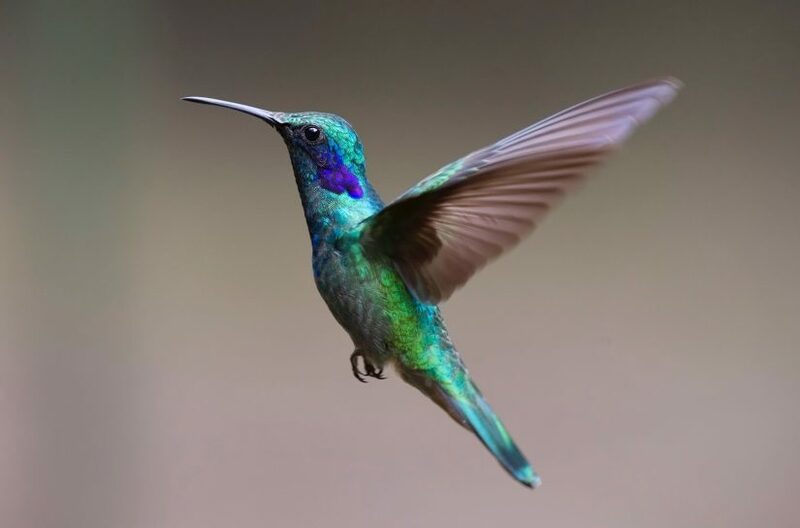 Of these, about 600 are permanent residents of Costa Rica and the over 300 migrate down from North American in search of the lovely warm tropical climate. The national bird of Costa Rica is the three coloured Thrush. It is also sometimes called the Clay-coloured It is a small bird of about 23 to 27 centimetres and weighs about 75 grams and as the name suggests it is clay in colour. Continuing with the bird theme Costa Rica has 54 species of Hummingbird. It is truly the best place in the world to visit if you would like to observe these beautiful little birds. 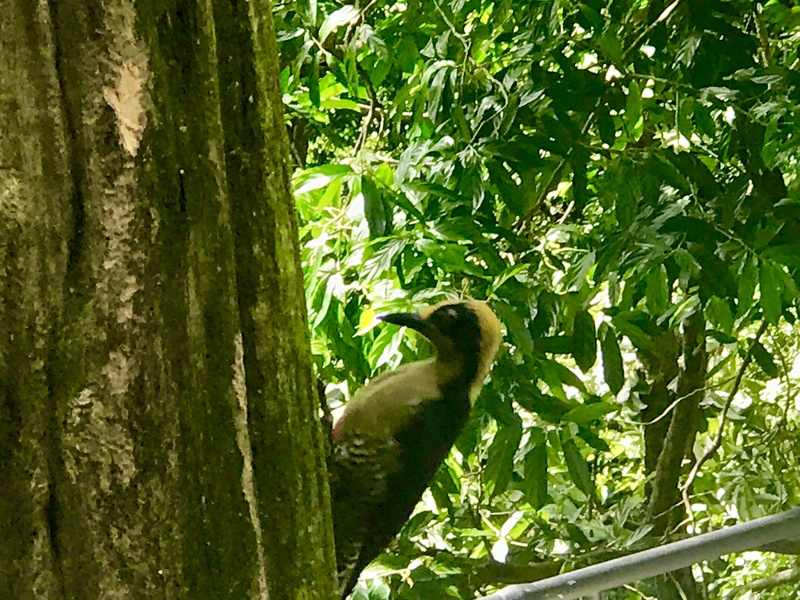 Woodpeckers are a common sight in the rainforests of Costa Rica. Thanks to the Woody Woodpecker cartoon created in the 1940’s, these beautiful birds are easy to identify. They explore dead wood and bark in search of ants, beetles and larvae. 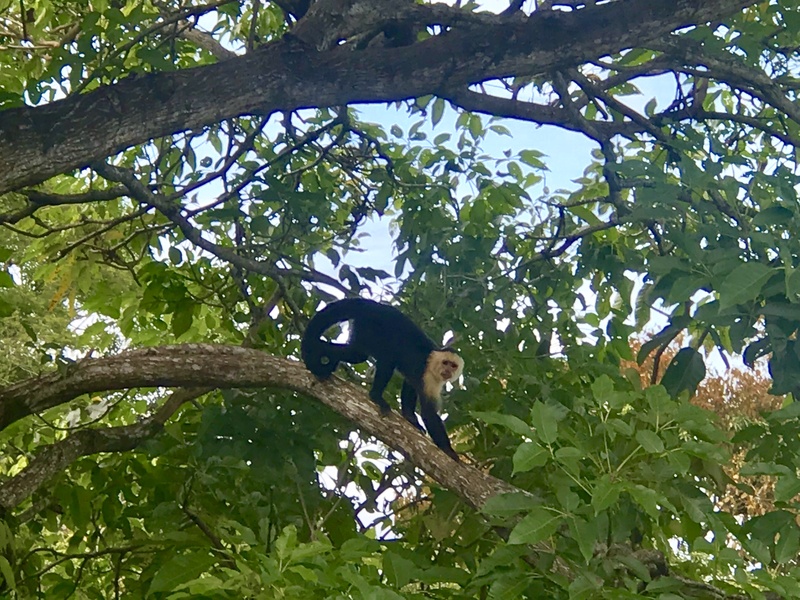 We were lucky enough to see them at our beautiful Villa Panorama in Manuel Antonio whilst we were inspecting villas recently. 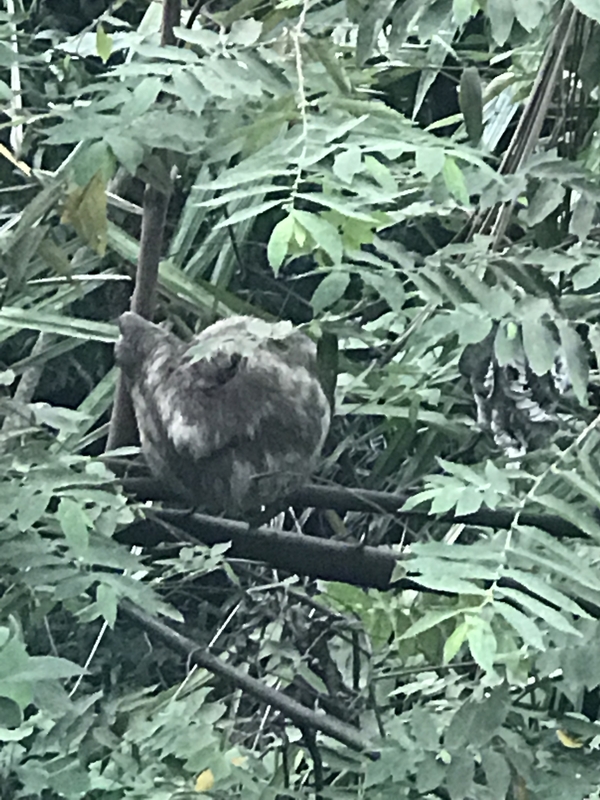 Sloths are quite common in Costa Rica but are notoriously hard to spot. These gorgeous little furry creatures are beyond cute, but the most distinguishing thing about them is how slow they move and how awkward they are. Their biggest danger is falling out of trees. When they do, there is often a hungry predator around looking for their latest meal. In the beautiful resort of Tulemar in Manuel Antonio, there is a sloth sanctuary that offers guided tours to guests. Scientists working at the sanctuary spend 24 hours a day observing these lovely cuddly animals in their natural habitat. They each have names, and many are rescued, and hand reared. Stay at the beautiful Tule Villa at the Tulemar Resort and see them first hand. There are seven provinces in Costa Rica. The capital is San Jose, and the other six are called Alajuela, Cartago, Heredia, Limon, Puntarenas and Guanacaste. Even though Costa Rica is a small country covering an area of nineteen thousand square miles, there are 12 micro-climates. These range from hot and humid to colder and windy. The north of the country goes from green to gold very quickly between the raining and dry season whilst the south stays green year-round. The green of Costa Rica during the rainy season is quite incredible. 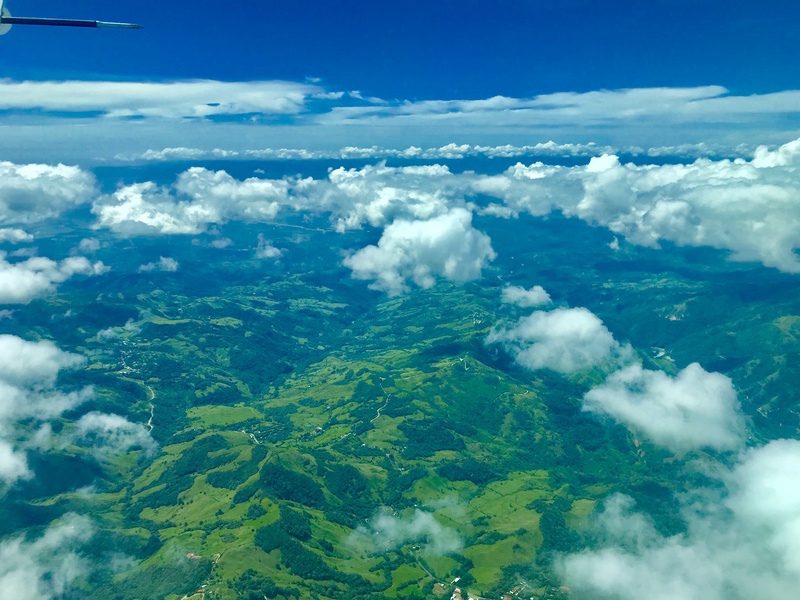 During the rainy season, the green colours of Costa Rica are so intense; the landscape looks like an over-enhanced photograph. This was one of the most fun facts about Costa Rica I came across especially when you consider I was born on the Emerald Isle of Ireland. Guanacaste is both the name of one of the most popular provinces in Costa Rica as well as being the name of the national Tree of Costa Rica. The Guanacaste Tree is also known locally as the elephant ear tree. It is a flowering tree of the pea family and has a trunk of about three meters in diameter, light grey bark and a very broad top with leaves spreading very widely. Tamarindo is famous for surfing with some of the best waves in the world. The town got its name from the beautiful Tamarindo Tree. 96% of the electricity in Costa Rica comes from renewable sources. Geothermal, solar and wind farms are common sites. Costa Rica is like the Switzerland of central and South It is a very peaceful country and the last time the county had an army was in 1948. Costa Rica has celebrated 70 years without an army in 2018. Costa Rican locals have a unique way of describing their seasons. They say the Gold Season and the Green Season. Loosely translated they mean the rainy season and the dry season. First-time visitors often wish to come in the dry season, but the real beauty is in the wet season. I have never come across anywhere that has more intense shades of green than Costa Rica in the rainy season. And most often, it rains hard and then soon after the sun shines again. 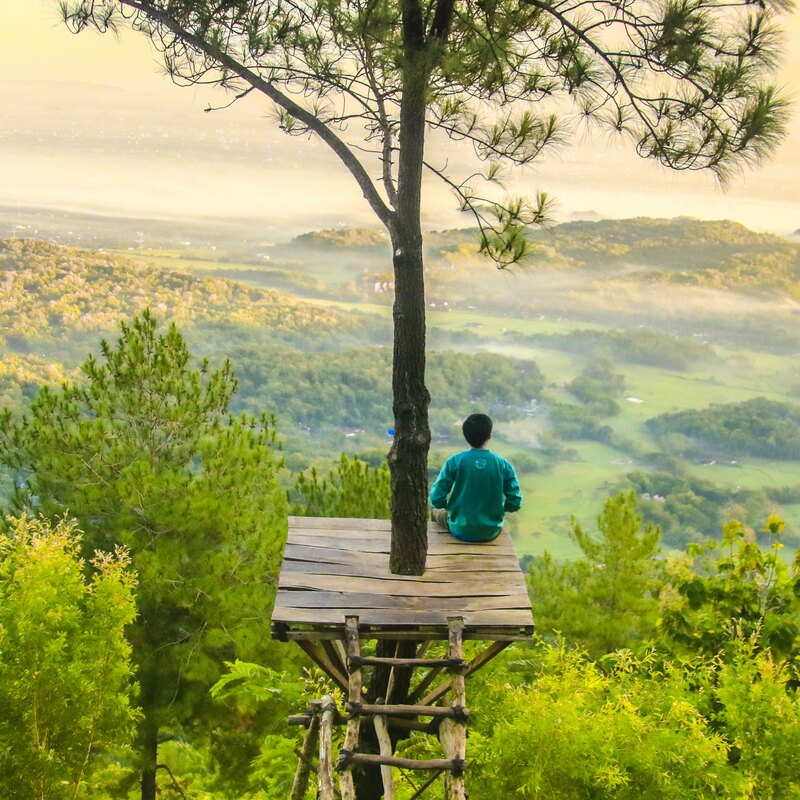 Costa Rica and Bali have a lot in common. Costa Rica lies 670 miles north of the equator and 580 miles south of the equator. Consequently, the two countries share very similar landscapes and topography. 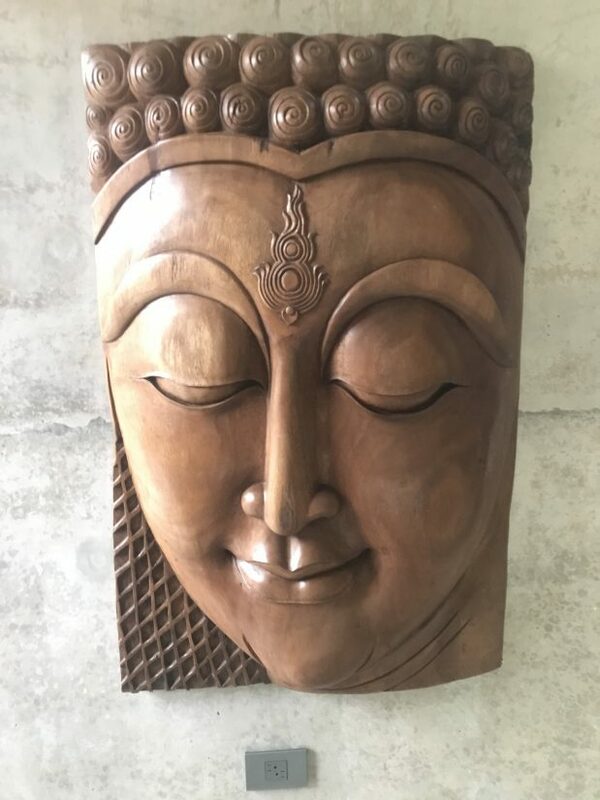 Many of our luxury villas in Costa Rica are decorated with beautiful Balinese furniture. Interestingly, many of our villas in Bali have a similar look and feel. There are monkey bridges all over Costa Rica. 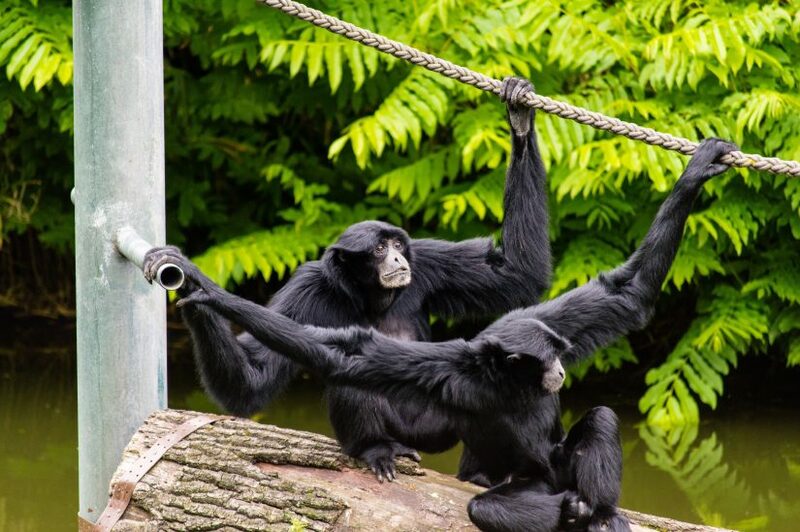 They are literally rope bridges for monkeys that connect trees so that the monkeys can navigate the rain forests more easily and prevent them being electrocuted by high voltage wires. There are over 12 species of monkeys in Costa Rica, and the bridges help to keep the monkeys safe. 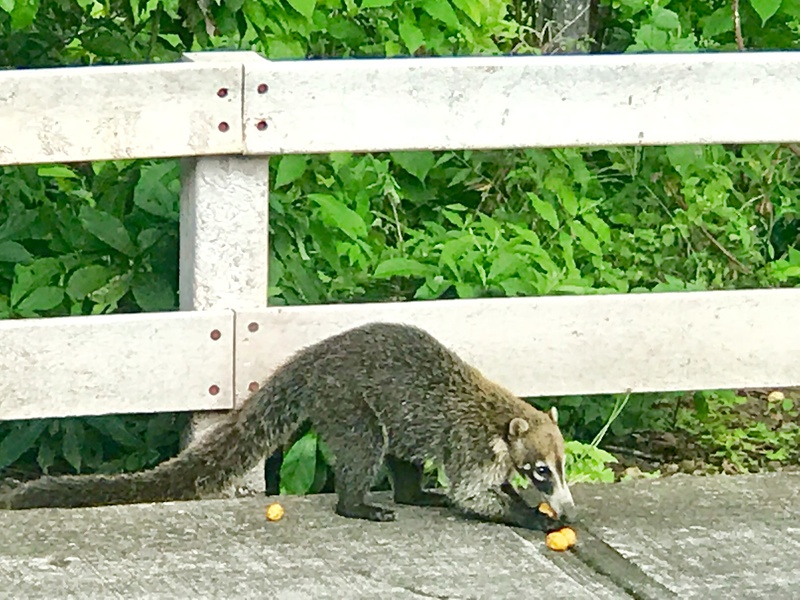 The Mono Titi monkeys are the smallest of the monkeys and are worth a particular mention in our Costa Rica facts blog as they are an endangered species, and Costa Rica is one of the only places where they may be spotted. They are tiny weighing in at one or two pounds and very playful. 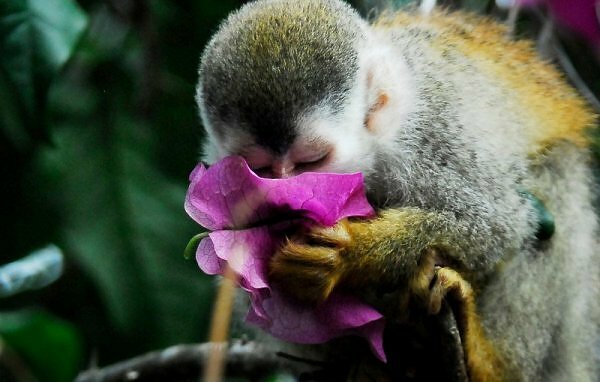 They are sometimes nicknamed as a squirrel monkey. 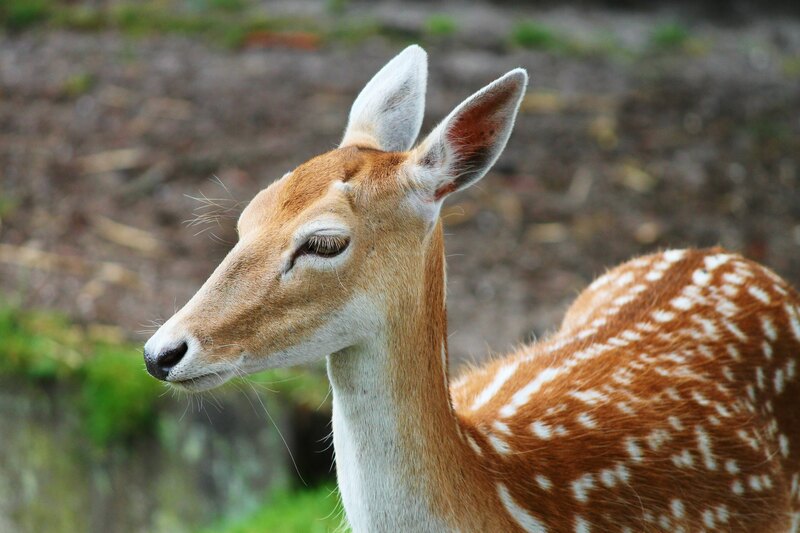 Despite the fact that there are millions of monkeys all over Costa Rica, the national animal is, in fact, the baby deer. There is even a picture of Bambi on the 1,000 colones bill which is the official currency of Costa Rica. The White Face monkey also called the Capuchin or Cappuccino Monkey from Costa Rica is considered the friendliest monkeys in the world. Howler monkeys which may be seen everywhere in Costa Rica are the second loudest mammal in the world. The White Whale is the loudest. A sad fact about Costa Rica is that in the last 15 years the population of Howler monkeys has decreased by 50% due to the clearing of forestry. Capuchin Monkeys are quite common and are very pretty and distinctive as they have white heads and brown bodies. Costa Ricans eat a lot of rice, black beans, vegetables, rice and chicken. A very common breakfast is Gallo Pinto which is a mixture of black beans and rice. It is often served with eggs and avocado and flavoured with bell peppers, cilantro and onions. Panning for Gold was a big thing in Costa Rica. The gold was discovered about 500 years after the arrival of Christopher Columbus to the country. Most of the gold was found on the Osa Peninsula, and the quality was considered to be very high. Once word got out about the gold, there was a considerable rush to the region. The frantic search for gold was at its peak during the late 1800 and early 1900. Gold may still be found in Costa Rica today. The whole of the Pacific coast of Costa Rica is very famous for surfers. They come from all over the world to experience great waves. There is a constant swell year-round although the best waves may be found in the rainy season between the months of May and November. Professional and very experienced suffers head to Hermosa Beach which is just south of the town of Jaco. 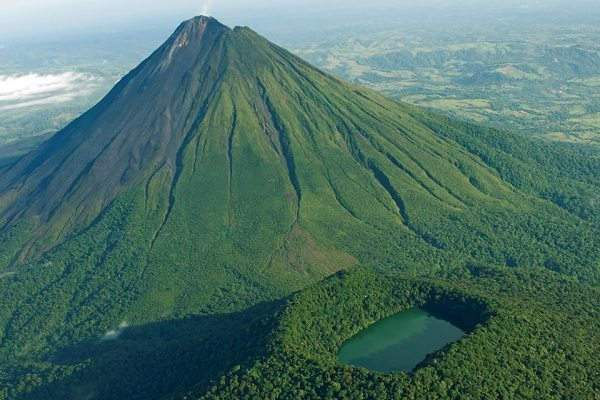 There are more than 120 volcanic formations in Costa Rica, and of those, seven are active volcanoes. Visiting a volcano is one of the most popular excursions to participate in. The very popular Arenal Volcano is located about an hour’s drive from some of the popular destinations such as Papagayo and Tamarindo. The volcano measures 1,633 meters in height and has a crater of 140 meters in diameter. The volcano was inactive for 400 years and began exploding again in 1968. 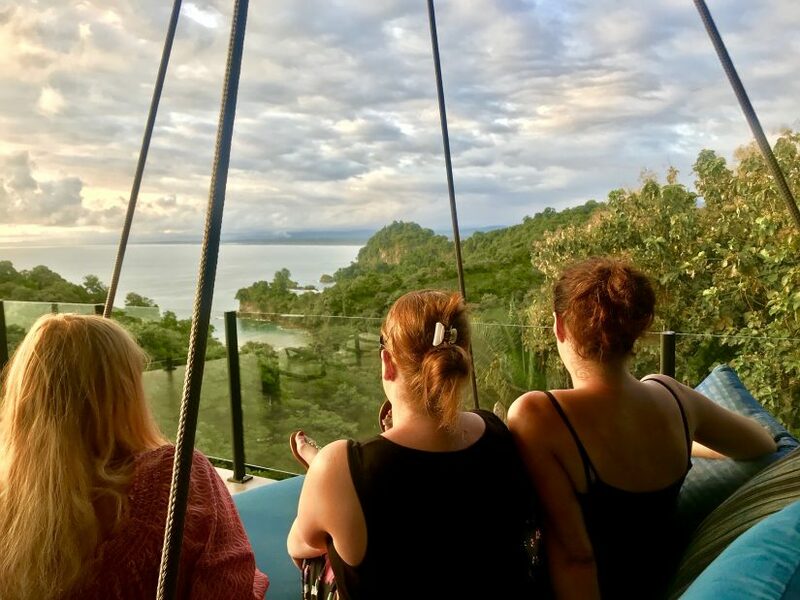 Visitors to the area come to look at the beautifully symmetrical volcano but also to participate in the many activities such as Canopy Tours, White Water Rafting, Nature Trails and Horse Back Riding. Costa Rica is very mountainous and has 368 peaks that are over 3,000 meters or 9,842 feet in height. Mount Chirripo is the tallest mountain in the country and is 3,819 meters or 12,500 feet high. Mount Chirripo is located in the Cordillera de Talamanca range. The tallest volcano is called Irazu and is 11,259 feet high. Soccer is a huge sport in Costa Rica. Every town small or large has a soccer field, and it is played equally by men and woman. Locally it is called Ticos and Ticas started playing futbol in 1876 when Spain first colonized the country. Costa Rica has produced some world-class players like Juan Cayasso, Bryan Ruiz and Keylor Navas. 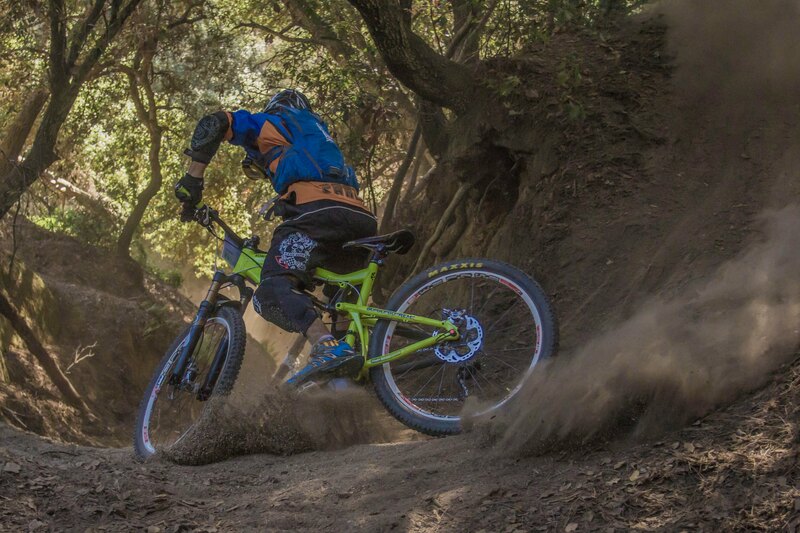 Mountain biking is also a big sport in Costa Rica. In fact, each year the country plays host to one of the most challenging mountain bike races in the world called la Ruta. The route goes all the way from the Caribbean Coast to the Pacific Coast and retraces the path that the 16th century Spanish Conquistadors made when the first discovered Costa Rica. Sport fishing is huge in Costa Rica for visitors. 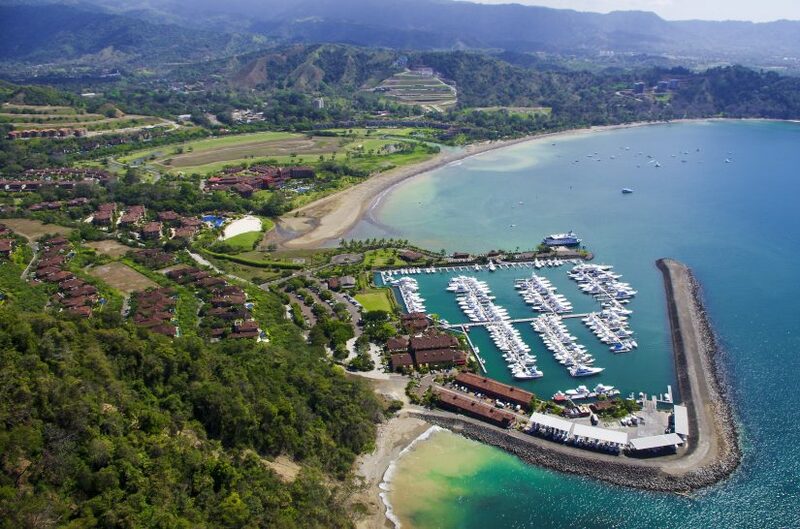 The town of Manuel Antonio and the resort at Los Suenos both have very large Marinas chock-a-block full of fishing boats that are available for charter. Marlin is probably the most common fish, but fishermen are also likely to catch Yellowfin, Mahi Mahi and Sailfish. 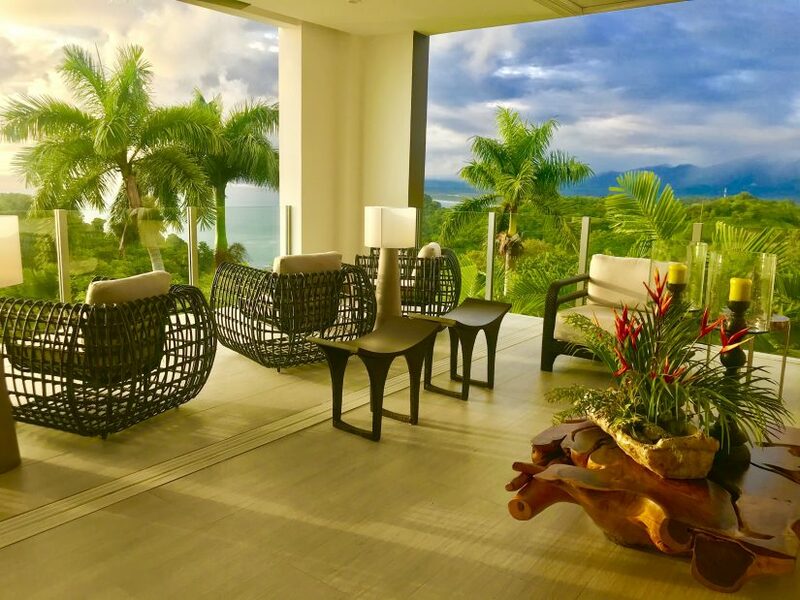 If you are an avid fisherman, then one of the best Costa Rica Villas to rent is The Harmon Estate in Los Suenos. Oscar Arias Sanchez is one of the most famous Ticos. He was President of Costa Rica twice. The last time was in 2010. Oscar Sanchez also won the noble peace prize for his efforts in ending the central American crisis. 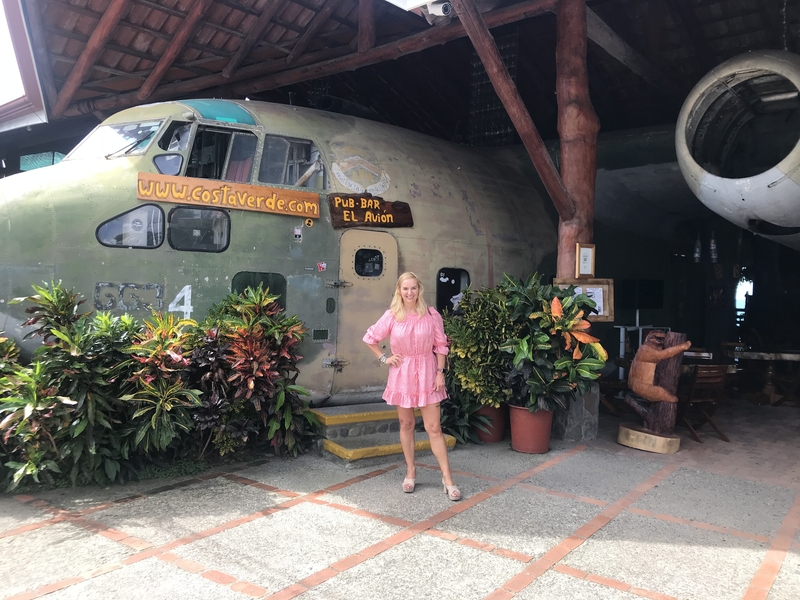 There are lots of fun facts about Costa Rica, but one of my favourites is the fact that a Fairchild 123 fighter plane has been converted into a very cool bar and restaurant with views to die for at Manuel Antonio. The plane also represents one of the most interesting historical facts about Costa Rica and in fact was part of one of the biggest political scandals of the 1980’s. When Ronald Regan was President of the United States, his administration set up a network of arms sales to Iran in a bid to release US hostages that were held in Lebanon and also to help fund Nicaraguan counter-revolutionary fighters called Contras. Some historical facts about Costa Rica include the fact that the famous explorer Christopher Columbus first landed in 1502. It was on his fourth and final voyage to the new world that he discovered Costa Rica. Before his arrival, Costa Rica was occupied by mainly Carib Indians. The colonization of Costa Rica which also means rich coast first took place in the 16th The first colony was known as Cartago and was chosen in 1561 due to the fact that the soil was so rich. But Costa Rica’s colonies did not flourish in the same way as its neighbouring countries of Panama and Nicaragua. The main reasons were the resistance from locals and lack of readymade slave workforce. 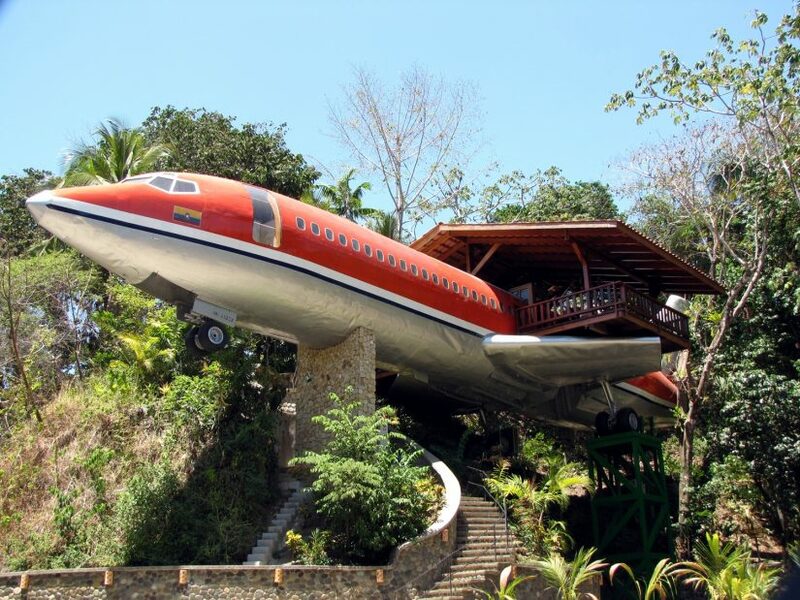 The best cool fact about Costa Rica I came across on my recent villa inspection trip is that an actual Boeing 727 aeroplane has been converted into a two-bedroom suite in the middle of the jungle in Manuel Antonio. 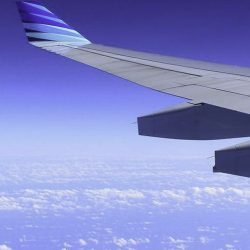 The plane was originally manufactured in 1965 and was used by both South Africa Air and Avianca Airlines before it became a luxury 2-bedroom air-conditioned hotel suite! 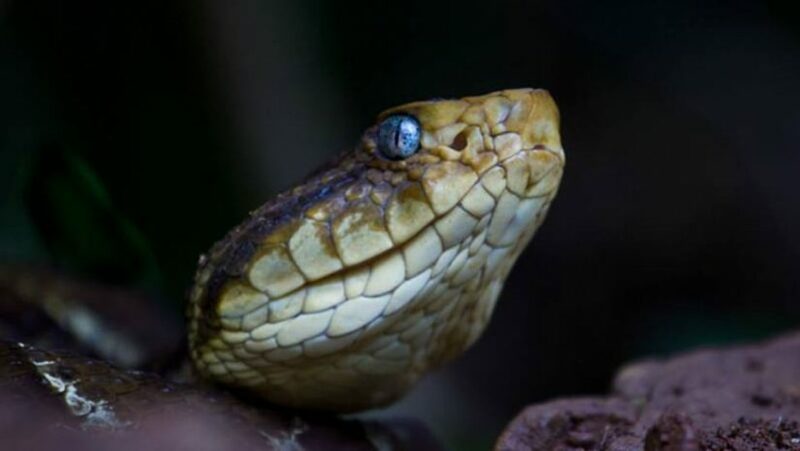 The Terciopelo snake is the most dangerous snake in Costa Rica. In fact, it is considered to be the second most venomous vipers in the world. The snake can be up to six feet long and can open its jaws up to 180 degrees. But the good news is they are very shy, and you are not likely to ever come across one! Costa Rica was a huge producer of bananas in the fifties until Panama disease hit the country and wiped out all the bananas. Panama disease is a type of blight that is resistant to fungicide and cannot be controlled by chemicals. Costa Rica is still a huge producer of fruit. Mangoes, Pineapple, Papaya and Water Melon are common and taste way more delicious than at home. As a lover of both rum and chocolate, this next Costa Rica fun fact really tickled my fancy. 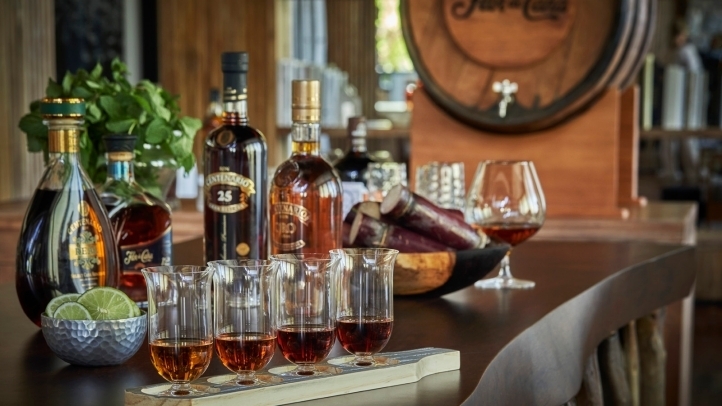 At the beautiful Four Seasons Resort in Papagayo, you can participate in a special rum and chocolate pairing with their award-winning rum master Robert Altamirano. Robert is a native Tico, and he will pour you a decent tasting glass! This is not your tiny sip type of tasting! One small tip! Don’t organise too much for later in the day! People describe Costa Rica as the country of a thousand sunsets. 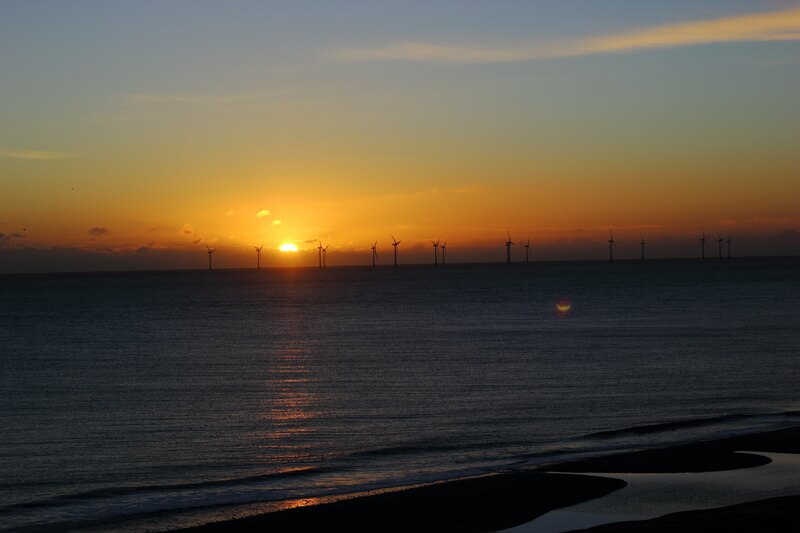 This is because each day the sunset is strikingly beautiful and also strikingly different from the day before. 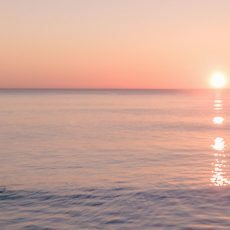 The colours of the sky combined with the sun going down create a virtual kaleidoscope of vibrant colour. 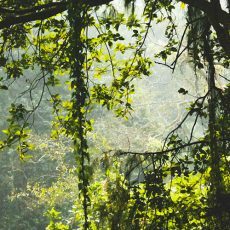 Last but not least, one of the most interesting and also fun facts about Costa Rica is that the country is full of walking trees. These trees can move up to 20 metres a year! 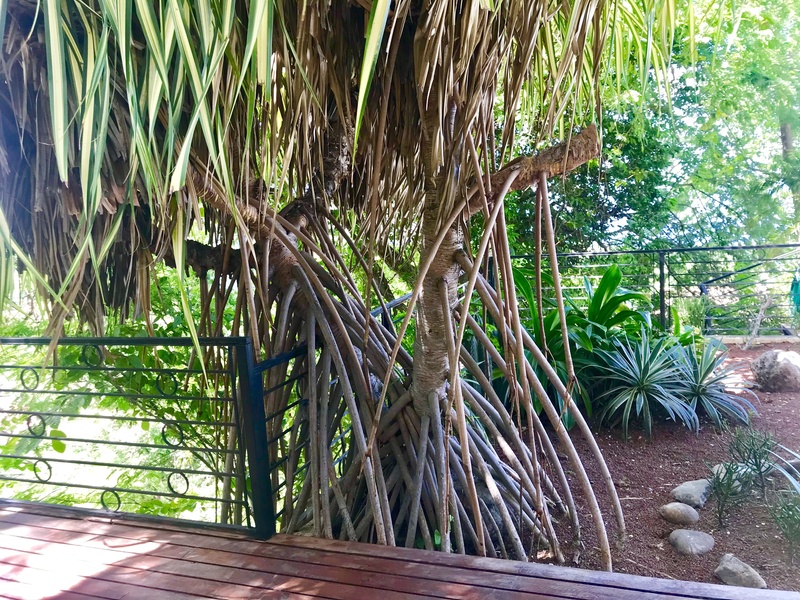 This is because they have a unique root system that splits into smaller roots a few feet of the ground that look like legs. Hard to believe but true! Costa Rica is a stunningly beautiful country with the most incredible wildlife and biodiversity imaginable. 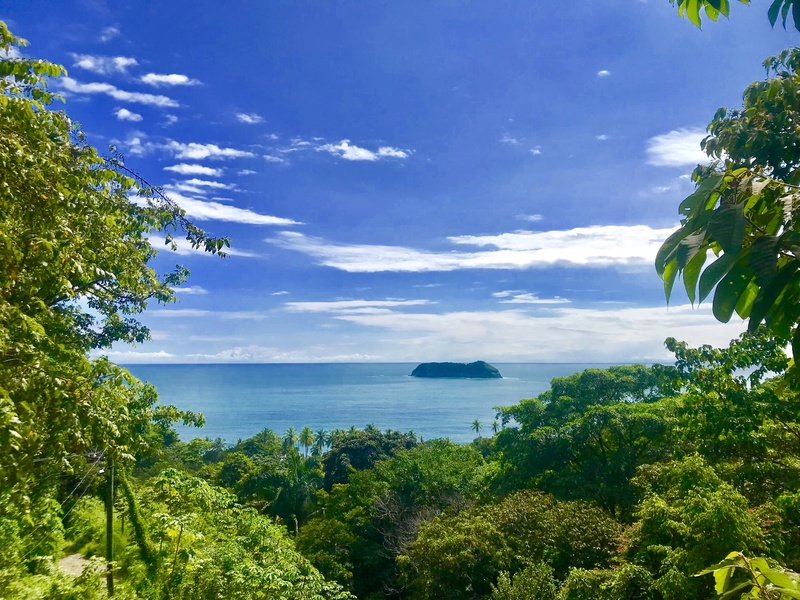 Costa Rica has two stunning coastlines on the Caribbean and Pacific Coasts, but this is a destination that is much more than just the beautiful beaches. It is rich with nature, wildlife, beautiful people, history and exciting things to do. t is the ultimate experiential destination. 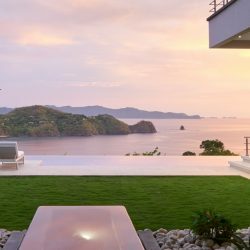 And the best bit of all is that the luxury villas in Costa Rica offer incredible value. You can get beautiful Costa Rica Villas for a fraction of the cost of many other destinations.